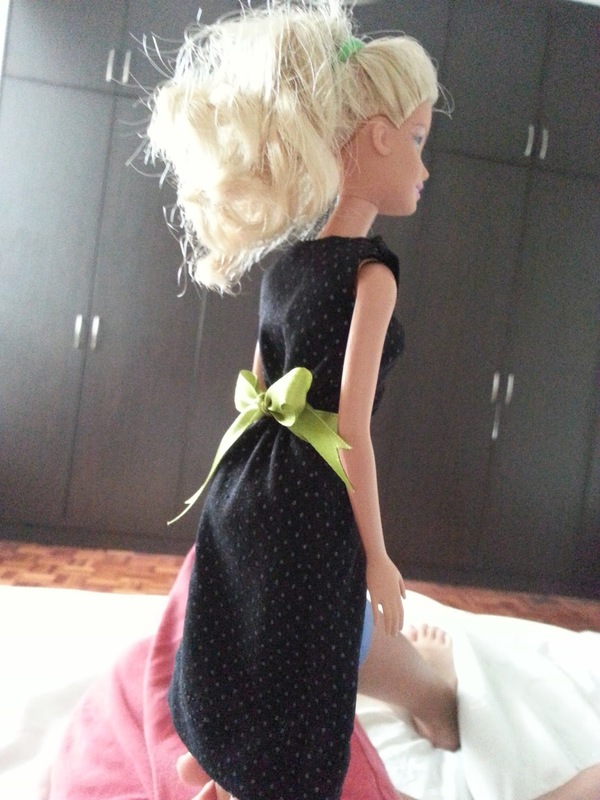 It's Saturday morning. 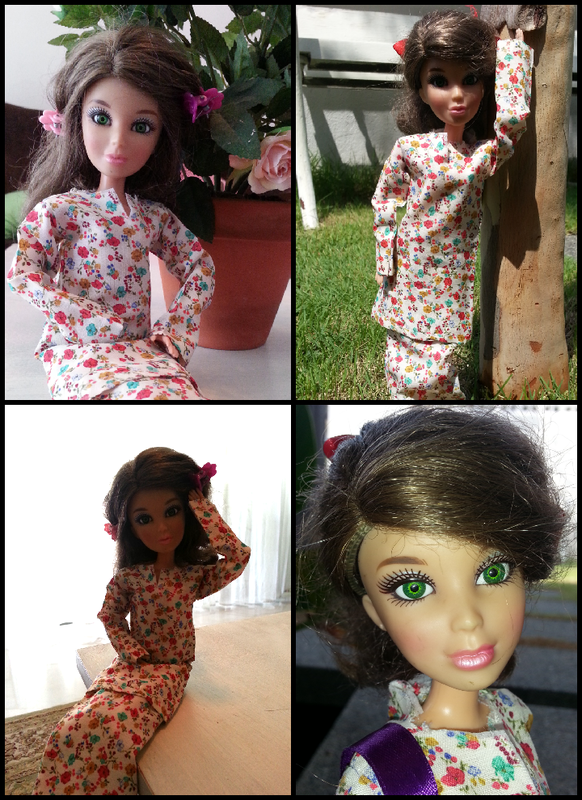 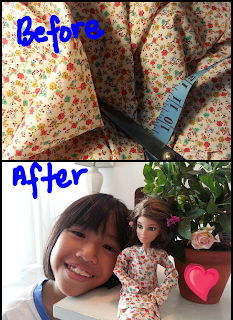 My daughter requested a baju kurung for her doll. We had fun making it. 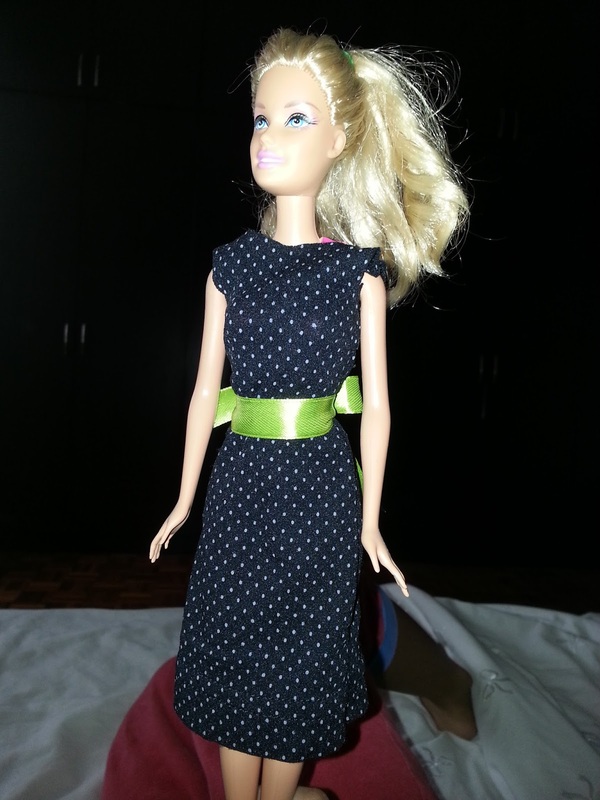 Barbie, Liv's mat salleh cousin, wanted a new dress too. 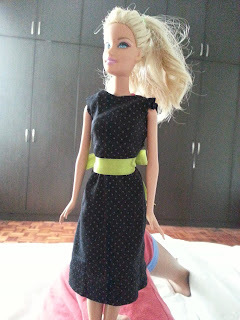 This one I did in 15 mins. Easy as it's a stretchable material from my old skirt.